Last year ended with a powerful Super Full Moon highlighting the last vestiges of turmoil, confusion and emotion, which characterized the past year. In 2017 we experienced the breakdown and simultaneous release of the foundational energies of our world. The resulting purification and timeline shifts made it very difficult to see the way forward. Nonetheless, despite all the disarray a profound healing occurred, which expanded the new consciousness on the planet. The old world is rupturing and in 2018 we see the continuation of this process. The governments, wars and abuse of woman and children is the old world dying off. It is may seem that these external disasters and challenges are building, but they are being emphasised pushing us to change. The old, dominate, ego-driven world is collapsing and a new soul-guided reality is emerging. With the rise of this new reality a very necessary transformation is taking place in our basic human ethos. A new awareness is awakening and will realign humanity with Universal principles and values, which take into consideration the Earth and nature. An adjustment in the balance of all things on this planet will ensue. Everything in our Universe is comprised of five elements, which work in balance, to create physical form. These five elemental forces of water, earth, air, fire and ether are the building blocks of all life. They come together in an alchemical process to create life. At the center of our world is the Earth, the planet we live on. Moving around and over the Earth is Water in the form of oceans, rivers and lakes. Water nourishes and impregnates the Earth to give life. Over the realm of Earth and Water is Air, the atmosphere in which we live. All living things need air to breathe. Then we have Fire, which lights up our sun, moon and stars and generates the life force energy needed to sustain life. And finally, Ether, which connects all things. Balance is the force that unifies them. All of nature receives, stores and transforms energy. The patterns in nature are complex systems, which facilitate the flow and transformation of energy on and in the planet. Everything is connected by these energy flows and any disruption to the energy carriers (nature) can cause major environmental changes, which affects all of life on Earth. Because of the interrelatedness of all life on Earth, all living things upon her share an evolutionary process. Being intimately connected to the planet we require a balance of nature’s element to grow, evolve and survive. Our energetic bodies are intimately connected, via the elements, to the energy flows in nature. Our emotional body is connected to the Water; our physical body to the Earth; our mental body to the air; our spiritual body to the sun; and our Soul to Ether. As a result of this deep energetic connection, we experience a sympathetic response to any damage in nature. In this modern world, it has become easy to forget our connection to and dependence on nature. With this disconnection from nature humanity has forgotten that the Earth is a living, sacred being. We have drifted away from the sacred essence of the Earth and focused our awareness and energy mostly on the development of the physical and mental aspects of our being. The emotional and spiritual have been largely neglected. Thus, we have lost track of who we are and why we are here. The damage done to nature is more awful than the world’s worst nuclear accident. Chernobyl caused a lot of human damage and yet, the ecosystem as a whole has thrived without humans. The idea that humans are superior to nature is only an assumption that lies within the shadow of the collective mind. Our emotional, physical, mental and spiritual aspects are out of balance, which is reflected in the natural world with the damage to the Earth, the pollution of the waters, the poisoning of the air and the explosive nature of our sun. As a result, humanity is living in its shadow and we have become fractured and fragmented. The great harm that has been done to nature needs to be corrected. With the rising of the new Earth the energetic patterns, which create and sustain life, are evolving. These patterns exist at all levels and permeate the Universe reflecting the unifying order of all creation. The evolutionary process is occurring in response to nature’s need to heal. Humanity will therefore be required to evolve and heal emotionally, physically, mentally and spiritually to ensure it’s survival upon the planet. For that reason, it is essential that you reconnect with and develop a deeper, more conscious connection with nature and the Earth. Nature is receptive and relishes being an active participant in your healing and growth. Spending time in nature attunes your energy and enables you to assimilate and integrate the changing energies emanating from nature. This adjusts your biorhythms to meet those of the planet, bringing balance and a profound shift in your relationship to the natural world. As a result, your entire energetic structure will alter to rebalance the elemental forces within you. A process which will assist you in anchoring your soul within the new Earth reality. This year, more than ever, it becomes import to reconnect with nature’s cycles of birth, life, death; spring, summer, autumn and winter. This connection will expand your consciousness and highlight your role as an Earthkeeper. As you realise this role you will begin to realise that you have the capacity to communicate with the Earth because you come from the Earth. Nature will transmit subtle messages and guide you to uncover what is in need of healing in both yourself and the natural world. As an incarnation of divinity, you hold the power to create, neutralise and transform energy for the planet. Embrace your role as an Earthkeeper and humbly learn to walk a path of harmony and balance. Learn to focus your energy and become the living link between Heaven and Earth. Remember that you hold the power to bring change and transformation to humanity. Root yourself in the Earth and surrender your need to control and dominate. Connect with nature’s evolutionary process and allow yourself to feel its abundant energy. Hear the Earth’s cry and journey to the oceans, the mountains, the forests and the lakes. Learn to dance with the elements, to shift energy and awaken the every-flowing well of creativity that resides deep within you. Engage the full power of your heart and seek to live your life in reverence for all of life. This past week Venus entered the humanitarian sign of Aquarius, reminding us of the importance of tending to our friendships and community relationships — not just our intimate ones. This weekend, you’ll want the freedom to mix and mingle and to express your individuality. If you are coupled up, allow your lover to express their unique self and encourage them to spend time with their friends; it would be advisable that you do the same for yourself! If you’re single, this is a good time to find some organizations, clubs, or causes you are passionate about. You’re open to sharing your love freely and unselfishly with the world now — who knows, you could meet a potential partner this way! On Friday the brilliant Sun also enters Aquarius, so these themes of freedom, originality, and universal love are especially strong this weekend. Mercury makes contact with Neptune, also on Friday, and your mind will feel stimulated in the most positive ways; you will have more sensitivity and awareness of those you surround yourself, and fantasizing about the future is likely. Sharing these hopes and dreams with loved ones is a surefire way to strengthen your bond now. However, with Jupiter’s cautious influence in Scorpio, it will come as no surprise that any suggestions of future commitment will be met with hesitation. Just make sure you stay light-hearted and ready for positive change in the weeks to come. If single, it feels like there is a chapter closing, or maybe a new one beginning? If attached, maybe just a realisation that it’s time to welcome change, or evolve together rather than apart. This week, relationship wounds are dumped, but more importantly, you can free yourself from your attachment to those very injuries. It’s a time when, if you don’t accept you need to rethink about the way you love, you will simply end up sabotaging your feelings. Similarly, you might deny your desire for someone, saying ‘no, of course I don’t feel that, who me?’ That ‘feeling’ is something you’ve got to now acknowledge and express. Thanks to Venus moving into Aquarius, you have the charm factor, diplomatic skills and relationships are light-hearted and creative. This week your face in the mirror is more self-aware. If single, you draw intelligent characters into your life. In fact, you are natural, seductive, authoritative and balanced again. If you can be less worried about staying in control of a romantic situation, and more open to what may be, you will discover better communication with someone too. On offer is sexual honesty, tolerance, space and acceptance of your differences. Try it all out and see how vitalising it can be. There’s really no choice but to open up about your true values. Consider whether you feel under some obligation from others, from your partner if attached, or if single, just from your own sense of self-doubt? Knock them all, metaphorically, on the head, and get on and live. A sudden realisation is that you’re about to embark on a course of romantic bliss. This week, you discover exactly the truth about your own feelings and someone else’s. So let love work its magic for you – it’s now or never to make a commitment to your happiness. Admirers or partners are probably more worried about their own self-development than about any spiritual affinity with you right now. But behind any hard-edged ego is also another lonely child who has a soul like your own. This week you can start to make romantic tracks again towards the merger of true soul-mates. Some people aren’t what you’d call enthusiastic and no amount of attention is going to change that Aries. It seems a shift of emphasis would be in order and you don’t have to look too far. A friend of a friend’s friend may be far enough! Get networking. The combination of Jupiter and Mars has brought about some intense relationship vibes but are they the sort that bring you love or bring you more questions and even some choppy waters ahead? Question, keep questioning until the right answer comes along, or the right ‘one’. If it’s all too much for you, why don’t you sit down, take a deep breath and get out the telephone, tablet or computer. Distract yourself. That’s way better than actually dealing with someone making those eyes. Not ready for romance? Seems it’s ready for you. If you’re seeking some sort of in depth conversation, some traditional flirting perhaps, or maybe an introduction from their parents? You may be disappointed Cancer; new love appears to be less conventional than ever. And way more fun. What you’re getting out of the chase is important, not so much this week but for next. You’ve got yourself centred, you can see who’s in the frame and confidence is high; that’s just what you need. But don’t go for it just yet. Next week could bring a change of heart. Pause. An exchange between your relationship sky and your how you doin’ sky may not be encouraging what you’d call anything long-term. That would be an illusion. Someone you might think of as Mr or Ms Right Now, could reveal themselves as the rightiest of rights ever. With so much going on in your new love, true love sky you could be forgiven for getting your flirt on and sometimes getting over enthusiastic with the expected outcome. Dial it back a bit Libra, all in good time; no need to rush this one. If Peter Piper could pick a peck of pickled pepper, what’s the time in Beijing? Hilarious! I would totally get that Scorps, I would laugh and reply with an equally stupid joke but then, I get you, really do. No response from some quarters though. Give it a week. Mars, Lord of passion and enthusiastic responses is in your sign from Friday. Friday? Don’t worry, his magic starts early I am sure but it may rely on whether or not you’ve truly cut a chord from your past? By past I do mean an ex Sagittarius. Just Saying. If losing Venus from your sign wasn’t bad enough the Sun is out from the top of this week, so no sunshiny new relationship for you? Not true. Saturn helps with a karmic show and tell, revealing someone with true potential. Do your slowly, slowly thing. If you’re considering pointing Venus in the right direction you could start by getting clear on what you’re looking for? Truth is it works slightly differently Aquarius, by getting clear Venus activates her true love vibes and love comes to you. Start by knowing what you’re truly looking for. Sending some extra vibes is your new love planet, the Moon. She’s with you until Monday and as she’s hooking up with Neptune this could be a very romantic start to your week. All you need now is someone to have it with. Get out. Please. Be nice to all you meet today as power lies in the very faces you think can’t help you move forward. Someone you stopped talking to wants to make peace. Aspects suggest they may be too late. Are they Aries? If you can express your soul, then the rest ceases to matter Taurus. Knowing how much is too much to ask of others is the key to you keeping friends in both your personal and professional life. Don’t be afraid to go out on a limb Gemini. That’s where the fruit is! Things you had promised to do for close ones must be honoured if you are to avoid damaging the relationship you had built up. Don’t be angry at close ones who have only tried their best in what has been a very tense time in both your lives. Showing support and understanding can tell you much about their back story you did not know. Don’t do things which you know are going to aggravate a close one just to get a rise out of them. You and I know you’re better than that don’t we Leo! Maybe if you tried telling them what decision you want reversed, you’d both be happy. Travel brings luck into your life and can prove that you were right to make the changes you did at the beginning of this year. Let’s be honest Virgo, you could not have stayed as things were anyway. Take your time when doing any jobs today, as rushing will be your undoing my friend. I know you’re angry that something didn’t work out earlier in the month, but trust me, it will be to your advantage. Work hard today Scorpio as those with the power and know-how will be watching you. Finding time to check in with family can put you at ease over something you were beginning to feel guilty about. Try not to judge new faces too soon or you could miss out on forming an important new friendship and influence in your life. This rash mood is due to a phone call you have not received. So why don’t you make it? Don’t be upset if others are upset by your work and your efforts today. Many of the signs are nit-picking and feeling irritable thanks to the pressure Mars has placed on our day to day lives. Paying attention to detail today can save you money and improve your reputation. You begin to see what good can come from taking your time when others comment on how impressed they are. Many of the signs are feeling more fractious than usual. If someone tries to push you to do something you don’t want, stand up and say no. You don’t have to shout to be heard but you do have to find your voice to keep your self-respect. You have a fabulous sense of humor, your own unique sense of style, and powerful emotions. Success-oriented, when you are able to focus on specific goals it would be hard to steer you from the path towards them. You are personally powerful and have a strong presence or aura, and others tend to follow your lead. You can be very stubborn at times! You are also very hard-working, caring, and kind to those you love. Although you don’t easily let down your guard, once you do trust, you are very protective. Famous people born today: Edgar Allen Poe, Paul Cezanne, Janis Joplin, Dolly Parton, Robert Palmer. The first two rules of personal growth are: 1/ it will be difficult, 2/ it will be worthwhile. Keep this in mind when facing opposition today. It’s how you will keep going when those around you fall. Don’t be too quick to turn down doing something which is out of the norm or which tests your limitations. You have been living life by others’ rules for far too long now and it’s time to recognise your own needs. Others will be calling on you to do favours for them. Know what you will and won’t do before you start Gemini, or you could end up getting pressured into things you will regret. Ring now to hear how overseas is calling for you. Don’t be surprised if you find it hard to get hold of those you want to talk to. Saturn is not feeling at his most friendly, so you may end up having to do what was promised yourself. Think before you speak today, or you could end up revealing secrets which will destroy the lives of others. Why not try putting this excess energy into working through those mixed up feelings? A new flirtation leaves you feeling confused and bewildered. A sign such as you was never going to only have one person interested in them. Just remember you are the one who has control so don’t feel pressured. The need to see someone you miss could see you telling a white lie in order to find the time you need. Don’t over explain as your honest nature could be giving away more than you realise. New ideas get you excited and that ‘lull’ you were in begins to feel like a thing of the past. You now have eyes firmly forward on the future (and not a moment too soon!) Someone close is ready to make amends too. Showing tenderness to loved ones today will help them move on from the difficult air which stilted the weekends progress. Events you are invited to at this time are an indication of someone’s acceptance towards you. You will feel like cancelling plans but don’t! Sticking to what you’d planned is the key to you feeling like the old you again. I know recent events shocked and unnerved you. But they won’t from today. A word to the wise Aquarius. Don’t go discussing other people’s lives if you don’t want your own on display for all to see. There is a jealous air in your chart which needs dispelling before this weekend is over. Try to have patience with those who have done wrong. There are many signs in the zodiac who are displaying extreme tendencies at the moment and you would be wise to offer them more time to acclimatise to what’s acceptable. Without a doubt, 2018 will be a year to get down to business. A series of planetary switch-ups allows for notable support in practical matters. You’ll build foundations in your life by trusting your instincts. You’ll also seek out an innovative approach to your finances — all with great potential for success. Back on October 10 of 2017, Jupiter, the planet of possibilities, began swimming in the emotional depths of Scorpio, and remains in this sign until November 8, 2018. With Jupiter moving swiftly through Scorpio as the year begins, you’re already feeling quite comfortable with profound, intimate, emotional exchanges in your relationships. You’ll continue to feel blessed when you explore hidden terrain, since you’ll likely find buried treasure that will help you grow spiritually, psychologically, and physically. 2018 will be a year of heightened intuition, so if you’ve wanted to cultivate your psychic gift, the universe is offering to be your mentor. Pay close attention to May 25 and August 19 when Jupiter will be at a perfect trine to Neptune. Faith, intuition, and luck are your perfect trifecta around these dates. Jupiter and Pluto will also work together well this year — a stark contrast to the power struggle they engaged in during 2017. On January 15, April 14, and September 12, these planets will help you remember that you had the power within you all along. More importantly, this planetary connection will encourage you to use it in a way that strengthens you and those in your circle. Business and financial ventures will be favored. On November 8 Jupiter enters Sagittarius, the sign Jupiter naturally rules. This will be an auspicious time when you notice greater success and support in any endeavor that opens your mind. It’ll be time to explore new horizons! While Jupiter encourages us to grow through expansive opportunities, Saturn, his counterpart, demands that we grow through patience, discipline, and hard work. On December 19, 2017, Saturn moved into Capricorn, the sign he naturally rules. Until 2020 we’ll have dominating lessons about building solid foundations that will serve and protect us through any storm. As the New Year begins, we’re still getting used to the subtle but profound difference Saturn makes when he moves from Sagittarius into Capricorn. Consequently, in 2018 you’ll know that it’s time to approach your life and responsibilities with a plan. Fortunately, you probably feel ready, willing, and able to do so. As long as you come to the cosmic workplace on time each morning ready to do the work necessary, Saturn in Capricorn will help you build a structure in a certain area of your life that you’ll be able to rely on for the long haul. Later this year, expect a material revolution to begin. From May 15 to November 6, Uranus, the planet of innovation and sudden change, will give us a hint of what he can do when in the practical, financially-oriented sign of Taurus. Expect a shift in the financial market — especially anything that has to do with technology and science. On a personal level, how you maintain physical and material security is likely to change. You can choose to reinvent yourself in these areas or you can resist. If you fight it, though, you’ll only feel more rattled and ultimately left behind when the rest of the world moves into more progressive terrain. Lastly, Mars and Venus will both retrograde in 2018, making certain times tricky to successfully negotiate new business ventures and romantic endeavors. Avoid launching anything new from both June 26 – August 27 while Mars is retrograde, and October 5 – November 16 when Venus retrograde. Remember, success in life is most supported when we swim with — and not against — the tides. Why create unnecessary strain? Don’t work in contradiction with planetary cycles. Instead, let them work for you. Loyal, rule-abiding, and cautious, the Year of the Brown Earth Dog is one that rewards pragmatism and discourages selfishness. During this Year of the Dog (starting February 16, 2018, and ending February 4, 2019), it’s time to create secure foundations, even if this requires scrimping and saving. Working collectively will pay off handsomely in 2018. Dogs are pack animals and feel more comfortable when operating as part of a team. “All for one, and one for all” is the motto of Dog years. It will be much easier to attain objectives when acting as a group now, rather than operating as an individual. Businesses that involve serving others will fare well during the Brown Earth Dog Year. Unions are strongly advised to lobby for raises, increased benefits, and more vacation time in 2018. Police officers, firefighters, teachers, hospital attendants, utility workers, and civic workers can benefit from collective bargaining this year. Because Dogs are anxious creatures, it’s important to guard against being overwhelmed during 2018. World events can feel oppressive and burdensome. Having a physical outlet for frustration is critical this year; daily exercise is an essential component to the Dog’s health. Hitting the gym regularly should make it easy to avoid infectious illnesses like colds, coughs, and flus. As far as mental health is concerned, Dogs are social creatures who require convivial companionship to stay in top form. Connect with friends as often as possible. The Year of the Dog emphasizes morality and idealism. Cynical attitudes can create setbacks in 2018. It’s best to strive for the greatest good for the largest amount of people during a Dog year. The need for increased security is another theme this year. This is a great time to upgrade your alarm system, passwords, and firewalls. Take extra care reviewing financial statements for fraud. Above all, keep precious possessions under lock and key. By channeling the protective power of the watchful Dog, you can avoid stressful losses. Because it is a Brown Earth Year, 2018 will be a time of stability, organization, and persistence. Over-the-top fashions will be replaced by utilitarian looks. Wash-and-wear fabrics, looks that easily flow from day to night, and versatile staples will dominate fashion runways. Extravagant displays of wealth will give way to frugality. Eateries that specialize in home cooking will perform better than gourmet restaurants. In terms of culture, stories about common folk will fare better than ones about superheroes. The Year of the Brown Earth Dog urges us to stay grounded, contented, and connected. Diligent Rats will fare well during the Year of the Brown Earth Dog. Your ability to consistently churn out quality work will be rewarded in 2018. This is a wonderful time to ask for a raise. To make the most of your money luck this year, resourceful Rats should enlist the aid of a trusted financial advisor. Anxiety can be a problem for you this year. To combat stomach pains and indigestion, you’d would be wise to practice relaxation techniques. Regarding business, the cautious Ox will fare well during this Dog year. Thanks to your ability to weigh options carefully, Oxen could experience financial gains through carefully researched investments. In addition, your strategic sign can benefit from expanding your products and services, as well as hiring additional staff. 2018 is an excellent time for Oxen to start their own business. However, your sign can be especially accident prone during Dog years, so it’s imperative that you wear safety equipment when operating heavy machinery and using sharp tools. When it comes to making money in the Year of the Brown Dog, you warm-hearted Tigers would be wise to form business alliances. Working as part of a team can greatly enhance your moneymaking abilities. Sharing wealth is strongly advised for this humanitarian sign, since Dog years reward selfless gestures. Tigers that regularly donate to charitable causes could see their personal fortunes rise. Regarding health, you Tigers have a rare opportunity to heal and recover from ongoing illnesses this year. Following a sensible diet can pay off handsomely. Sensitive Rabbits could experience tremendous financial growth during the Year of the Dog. Your ability to anticipate people’s needs could result in a lucrative job offer, handsome raise, or impressive business opportunity. 2018 is also a great time for you creative Rabbits to develop products and services for underserved markets. However, emotional upheavals can cause health problems for this highly dramatic sign. Learning to detach from worldly concerns and relationship dramas can promote robust health for you throughout the Year of the Brown Dog. A relaxing bedtime routine is strongly advised. Principled Dragons won’t experience any dramatic changes on the financial front in 2018. The Year of the Brown Dog should be a time of stability for your sign, allowing you Dragons to coast as far as your careers are concerned. If more money comes in, it will probably be through your partner. Consequently, it would be wise for you charismatic Dragons to yield the spotlight to your mates this year. As far as health is concerned, this normally robust sign can benefit from an improved diet. The well-connected Snake can experience tremendous financial luck during the Year of the Brown Earth Dog. Customers and clients will flock to you for your personalized attention. Word-of-mouth will bring you more business, which means increased profits. Unemployed Snakes should spread the word of their job search throughout their social network. Dog years bring benefits through interpersonal connections. Habits that you sensuous Snakes enjoyed in the past could create health problems in 2018. You’d be wise to move away from activities that make you tired, irritable, and groggy this year. The Year of the Brown Earth Dog could be a time of both feast and famine for the industrious Horse. When work comes in, it will keep you busy around the clock. Long periods of productivity will be followed by extended cycles of free time. Instead of searching for more work, use these slow interludes to travel, relax, and spend time with loved ones. Spiritual practices can cultivate radiate good health for Horses in 2018; a meditation or yoga routine is strongly advised. Carefree Sheep need to take extra financial precautions during the Year of the Brown Earth Dog. 2018 will punish those who can’t stick to a budget. Being more mindful about money will benefit your moody sign, which often tries to fill emotional voids with material goods. Sheep who don’t want to struggle would be wise to draw on existing resources this year, rather than engaging in retail therapy. Susceptible Sheep should practice preventative healthcare during the Year of the Dog. Nutritious food and vitamin supplements can stave off infection. 2018 invites you competitive Monkeys to increase your savings. The Year of the Brown Earth Dog will reward you for your ability to plan. Instead of looking for easy money, strategic Monkeys will fare better by cultivating long-term business alliances. Dog years emphasize the importance of honesty, inviting you Monkeys to dispense with diplomacy and adopt a more straightforward approach toward financial negotiations. As far as health is concerned, lively Monkeys are welcome to experiment with different sports and workouts. Keeping fit will prove fun for your lively sign. The Year of the Brown Earth Dog should cultivate financial growth for you confident Roosters. Although your impatient sign will be eager to spend your increased earnings, you should wait until next year to make major purchases. While weighing your options throughout 2018, your money will continue to accumulate, allowing you to strike some remarkable deals next year. One area you should spend money in, however, is in the health arena — Dog years invite mental Roosters to pay more attention to their physical needs. Principled and respected, 2018 will prove a banner year for Dogs. The Year of the Brown Earth Dog invites your sign to pave the way for long-term financial security. Getting out of debt, accumulating savings, and increasing income are all goals worth pursuing in 2018. If this means landing a more lucrative job, so be it. Loyal Dogs could get impressive job offers from previous employers who want to welcome them back into the fold. Worry is the greatest threat to this anxious sign’s health. Therapy can cultivate wellness. The honest Pig will reap significant economic rewards during the Year of the Brown Earth Dog. It’s important for your diligent sign to set financial goals throughout 2018. Having a sense of purpose will attract several good moneymaking opportunities. Pigs seeking a career change are in luck, as your ability to transition into another industry is strong during Dog years. Health challenges could occur for you this year, so it’s especially important for lusty Pigs to cut down on the sugar intake — you’ll get more mileage from lean proteins. We didn’t want you to wait till this afternoon to get your horoscopes for the day! drumming and dancing on the meadow. Mercury forms a sextile to Neptune today, and there can be notable compassion or gentleness in our communications. Our imaginations are easily stirred, and we tune into all sorts of layers and levels of any given situation as we have an increased appreciation for subtleties. We are inspired, and we can encourage others with our words. There can be psychic openness in our interactions. We’re likely to experience a sense of knowing and understanding with minimal explanation or instruction. Intuition is highlighted or awakened. Nevertheless, we can be quite particular with our tastes and money today. Tonight, the Sun enters Aquarius, where it will transit until February 18th. During this month-long cycle, we are motivated by our hunger for knowledge, experience, and originality. Innovation is more important to us than convention. We become more aware of what is outdated in our lives and strive to find new perspectives and new ways to do things. The class distinctions, structure, and order that Capricorn finds appealing now seem rigid, although we also appreciate they’ve been laid out for us. We strive to free ourselves from some of the restrictions, inhibitions, and limitations that now feel constraining rather than safe. The Moon continues its transit of Aquarius until 3:28 PM EST, after which the Moon is in Pisces. The Moon is void from 6:53 AM EST, with the Moon’s last aspect before changing signs (a square to Mars), until the Moon enters Pisces at 3:28 PM EST. Winter nights abound with some of the brightest stars in the sky: Rigel and Betelgeuse in Orion, Aldebaran in Taurus, Sirius in Canis Major (the big dog), and Procyon in Canis Minor (the little dog), to name but a few. The Moon was new on Tuesday as it passed between Earth and the Sun. Today the Moon has moved away from the Sun, but it still lines up in the Sun’s general direction. At that angle, the Moon form a thin crescent, which is low in the southwest at sunset. A Mercury-Saturn conjunction, two striking star clusters, and a blazing Jupiter all take stage in the sky this week. Uranus reached opposition and peak visibility three months ago today, but it remains a tempting target. The outer planet appears nearly two-thirds of the way to the zenith in the southern sky as darkness falls. The magnitude 5.8 world lies in southeastern Pisces, 3.5° west of the 4th-magnitude star Omicron (ο) Piscium. Although Uranus shines brightly enough to glimpse with the naked eye under a dark sky, binoculars make the task much easier. A telescope reveals the planet’s blue-green disk, which spans 3.5″. Two of the finest deep-sky objects shine prominently on January evenings. The Pleiades and Hyades star clusters appear highest in the south in early evening but remain conspicuous until well past midnight. The Pleiades, also known at the Seven Sisters and M45, looks like a small dipper to the naked eye. The larger Hyades forms the V-shaped head of Taurus the Bull. Although both look nice without optical aid, binoculars show them best. Head outside before dawn and you’ll find Jupiter blazing in the southeast some 7° to the upper right of Mars. The giant planet climbs 30° high by the time twilight commences. Jupiter shines at magnitude –1.9, which makes it the brightest point of light in the night sky, and resides among the much dimmer stars of the constellation Libra. A telescope reveals the planet’s 35″-diameter disk. In average, there’s a Blue Moon about every 33 months. Blue Moons are rare because the Moon is full every 29 and a half days, so the timing has to be just right to squeeze two full Moons into a calendar month. The timing has to be really precise to fit two Blue Moons into a single year. It can only happen on either side of February, whose 28-day span is short enough time span to have NO full Moons during the month. The term “blue Moon” has not always been used this way, however. While the exact origin of the phrase remains unclear, it does in fact refer to a rare blue coloring of the Moon caused by high-altitude dust particles. Most sources credit this unusual event, occurring only “once in a blue moon,” as the true progenitor of the colorful phrase. The moon will appear larger, brighter and reddish-orange for some skygazers later this month when a total lunar eclipse occurs during a blue moon and a so-called supermoon, in what scientists say is a rare occurrence. On that night, there will be a total lunar eclipse, which happens when the Earth passes between the sun and moon, blocking sunlight from reaching the moon. The lunar eclipse will occur at the same time as a blue moon, a term given to the second full moon of a given calendar month. And it will be considered by some a “supermoon,” or a full moon that’s closer to Earth than usual and can appear slightly brighter and larger than normal. The last time this cosmic coincidence occurred was 35 years ago, according to Ernest Wright, a programmer in the Scientific Visualization Studio at NASA’s Goddard Space Flight Center. While some reports say such a sky show hasn’t happened for more than 150 years, Wright and Fred Espenak, a famed eclipse expert and retired NASA astrophysicist, said the last total lunar eclipse during a super blue moon was on Dec. 30, 1982. Here’s what else to know about the upcoming total lunar eclipse, supermoon and blue moon. What will we see during the total lunar eclipse? Don’t be confused by the term “blue moon,” which has nothing to do with the color of the moon, scientists say. In fact, the full moon will appear red or a burnt-orange hue, which is where it gets its “blood moon” moniker. NASA says this happens because the indirect sunlight that reaches the moon, during a total lunar eclipse, first makes its way through the Earth’s atmosphere, where most of the scattered blue-colored light is filtered out. The moon could also appear blood red, dark brown or gray. The exact shade will depend on global atmospheric conditions, like the amount of dust in Earth’s atmosphere, at the time of the total lunar eclipse. Petro says there’s a very small chance the total lunar eclipse during a blue moon could even appear to have a blue hue to it, but that would depend on a massive volcanic eruption happening beforehand. Particles in plumes of ash-clouds from such an eruption could scatter away red light, according to NASA. Whether you’ll see the show also depends on local weather conditions, since cloud cover could partially or completely block the spectacle in some areas. When will we see the total lunar eclipse? Sky watchers on the West Coast and in the middle of the U.S. will have the best chance at catching the total lunar eclipse if they are early risers. Residents in Australia and Asia will get a “really good view” as well, Petro said. But people on the East Coast will have a less impressive view, since the lunar eclipse’s totality will occur as the sun is rising and moon is setting, Petro said. The next total lunar eclipse can be seen on July 27, 2018 on several continents, including South America, Europe, Africa, Asia and Australia. The event will be visible again in America on Jan. 21, 2019. Before we get started, I do have one topic I would like to discuss or address to a certain sect of individuals who have been visiting our site. It is a subject I want to tread lightly on because we have other faiths and religions here with us. I have always been known as one who does not bash other religions and I am very religion tolerant. Here recently every time one of the ladies goes to our P. O. Box, we have literature and brochures from a certain church in our mail. Yes, you heard right, we are being mailed brochures about converting to their religion. This man and I have had run ins in the past and yet he persists. I think the reason he has started up again is because he just found us a few months ago and he decided he would give it another try. So here I go treading lightly on this subject, I know he visits this site and I know at one time he was a member till I found him and blocked him. I believe that is why the mailings started. So this is addressed to my dear preacher friend…..
We do not want your brochures or your flyers sent to our P. O. Box. We have all chosen our Path, Tradition, and Religion here. 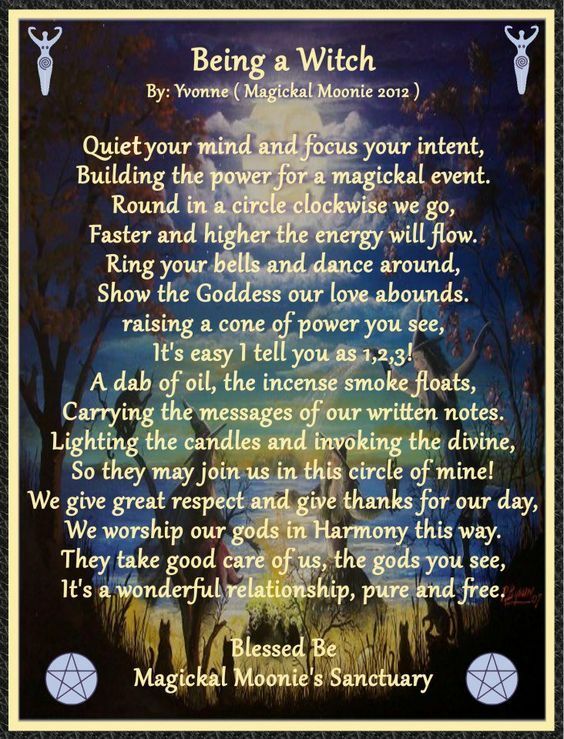 We are a peaceful group, we have Pagans, Witches, Wiccans, Baptists, Catholics and various other groups here, that is why I must tread lightly out of respect for the mainstream religions that are with us. I have respect for their religion and they have respect for ours. They have enough respect that they write me and ask me if it is alright for them to join our group. Why? Because they want to know why so many people are turning to our religion and leaving the mainstream ones. They want to know the truth about us and oh yes, dear brother the truth is getting out. They are finding out, we are not evil, we are not devil worshipers, all we want to do is live in peace and to co-exist. We want to be free to choose our own Path and walk it proudly. They are here because they know the more we learn about each other, we can make co-existing possible. They not only learn from us but we do learn from them also. It is a two way street that is becoming one very quickly. As for you, my dear brother and yes I do call you brother. I have no hatred for you. In fact, I pity you. I pity you because you are so very closed minded. You have haunted us and taunted us for years, now it is time to stop. We are steadfast in our beliefs. Perhaps if you would take a moment to read some of the material here, you might learn a thing or two. Then again, you are very closed minded and your way is the only way. As I have always said with so many religions in this world, how can there be only one right religion? Answer me that. Or better yet are you sure you are following the right religion? There are enough priests and preachers here so if what I am getting ready to say is wrong or incorrect, please feel free to correct me. Now back to my dear brother, doesn’t it say in Revelations that when your judgment day comes that only 144,000 will be collected and taken to your heaven. Those 144,000 spoken of all come from the 14 tribes of Israel, I believe it does say that. Do you tell your members this on Sunday mornings? Do you believe you come from one of those 14 tribes and will be among the 144,000 gathered up when your judgment day comes? Oh, my goodness, a witch who knows the Bible. You should know better than anyone I grew up in a half and half house. Perhaps that is why I am so religious tolerant. And just maybe that is why my curiosity has always been peaked to learn about other religions and not to be closed minded. No, I seriously doubt that you tell your members what I have just said or ever will. I bring that up for two reasons, first to prove I am familiar with your Religion and many other Religions as well. 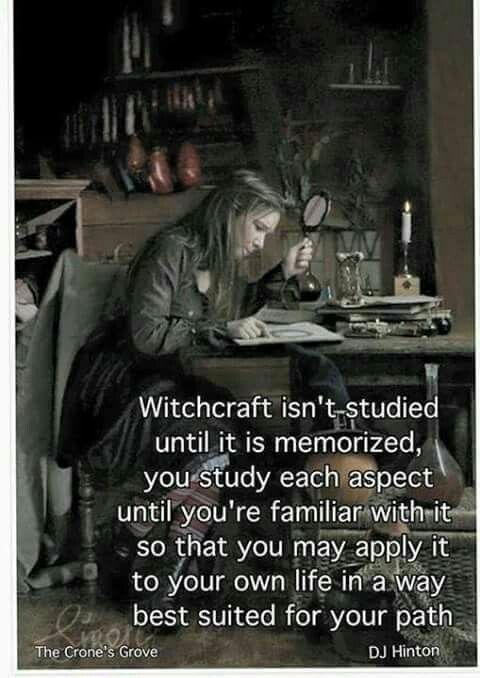 I know about all these different religions and yet when given the opportunity to choose which Path/Religion I would follow, I decided to follow Witchcraft. 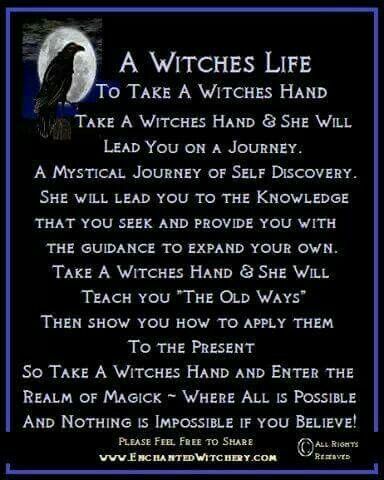 I come from a long line of witches and I am very proud to call myself a witch. 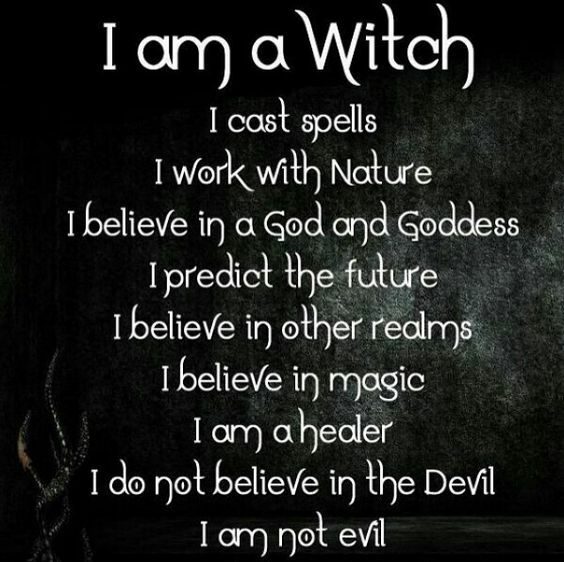 I am proud to call myself a witch because of what my Religion offers and holds for me and those who decide to follow Witchcraft. 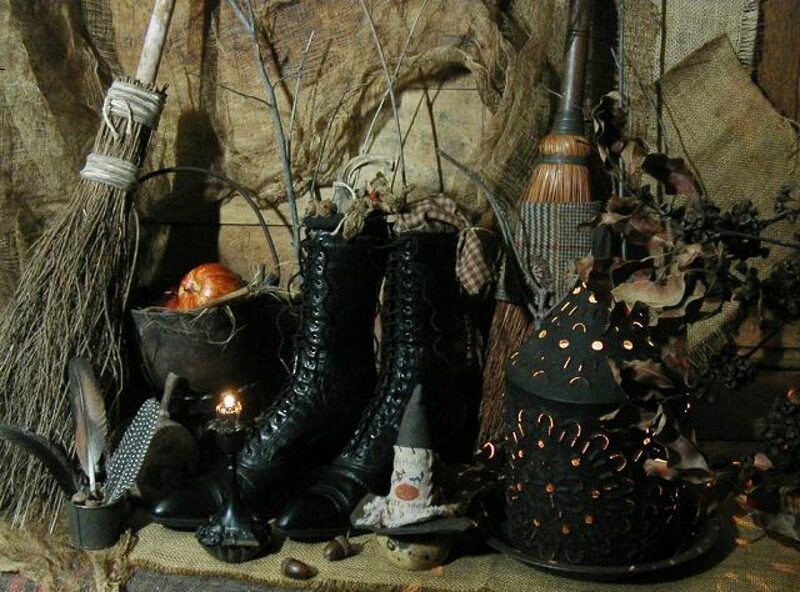 Here comes the second reason…..we don’t recruit people to witchcraft. You will never find us hounding or harassing someone to come to our Religion. Witchcraft and the Goddess is inside everyone of us. All you have to do is hear Her calling and look within yourself and you will find Her. She is there, I guarantee you that. She is a very mighty Divine Being. You can see Her works and beauty every day. You can feel Her presence with you constantly. I have seen Her perform what you might call miracles. I never once saw any miracles or felt anything from the other side of the fence. I have seen the Goddess, I have seen my Deities. I have asked for their help and they answer. The Goddess has guided me and others for centuries. She has never asked us to kill in Her Divine Name nor will She ever. She will never tell us that only 144,000 individuals will be allowed in the Summerlands either. Because we do not die, we reincarnate. I am living proof of that. I am a very old soul. I know, my dear brother, you have no idea what an old soul is, so I will tell you. It is a soul that has lived many lives and seen much. A soul that can testify to what our Religion states is true. We do not die, we are reborn. Unlike your religion, we return to this plane again and again. I have seen the glories and the wonders our Religion holds. There is no converting me or the others here. We have all made our decision many years ago, so save your stamps. One more thing I have always wondered, perhaps you can drop me a pamphlet in the mail and explain it to me, hmm. Why is your religion always looking forward and praying for this world to end? I have never grasped that (really don’t want to either, but…). I am just curious as to why. Does the future look the bleak for you in your Religion, that you have to pray for the world to end? If that is the case, I feel very, very sorry for you. Living in world that you are suppose to be grateful for but instead you pray for it to end. Doesn’t make any sense to me at all. Our future, on the other hand, is very bright and beautiful. We do not pray for the world to end. One of our main staples is that we are to help mankind and the Earth become a better place. To assist in any way we can, not to pray for it to end. We reincarnate and reincarnate so the lessons we have learned from our past life, we can bring forth with us to make this place we call home a better home. We don’t do it just for us, we do it for all mankind, including you. We do not judge, we do not persecute, we do not harass anyone in the name of our Religion nor do we send out pamphlets trying to convert people. The people who come to us come to us out of their own free will. Their minds are open and they want to return to the oldest Religion on this planet. I hope I have given you food for thought, dear brother. Funny, I call you brother and you wouldn’t call me sister if your life depended on it. That is the difference in my religion and yours. You are taught to suffer no witch to live. We are taught all life is sacred and should be cherished. You want to drive us into extinction. Many have tried and yet we are still here and growing by the day. We will be here long after you are gone. You keep telling us to make the right decision, my dear sir, are you sure you have made the right decision?. Save your stamps, your pamphlets and go door to door peddling your religion. But never, ever send us anything else again. Your threats of hell, fire, brimstone and Satan do not scare us. If you knew anything at all, you would know those words do not even exist in our Religion. If someone is on the outside looking in and comparing the two Religions, I believe in my heart I know which one they would choose. Now leave us alone or the next time, you will find that you have harassed the wrong witch.